Changing lives is at the heart of what we do – from our beginnings in 1924 to now. We partner with hundreds of individuals and organizations that share a collective vision for what is possible. 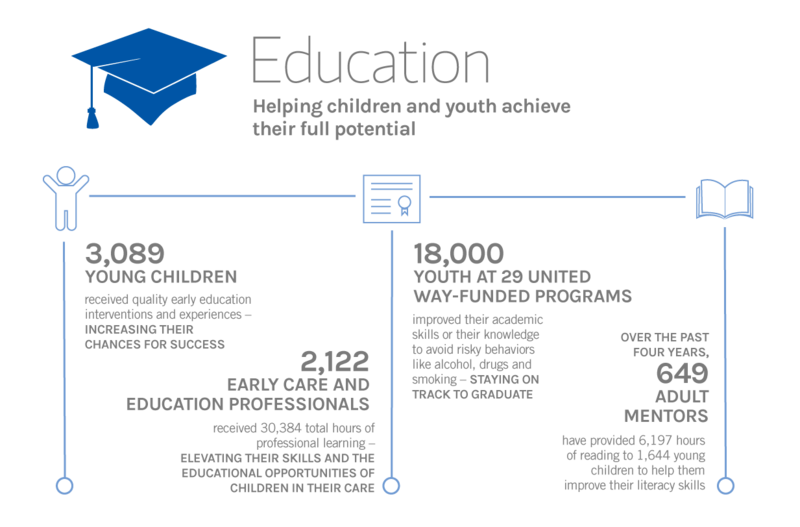 Through our work in education, financial stability and health, we are improving the odds for children and families, today and for generations to come. Harve A. 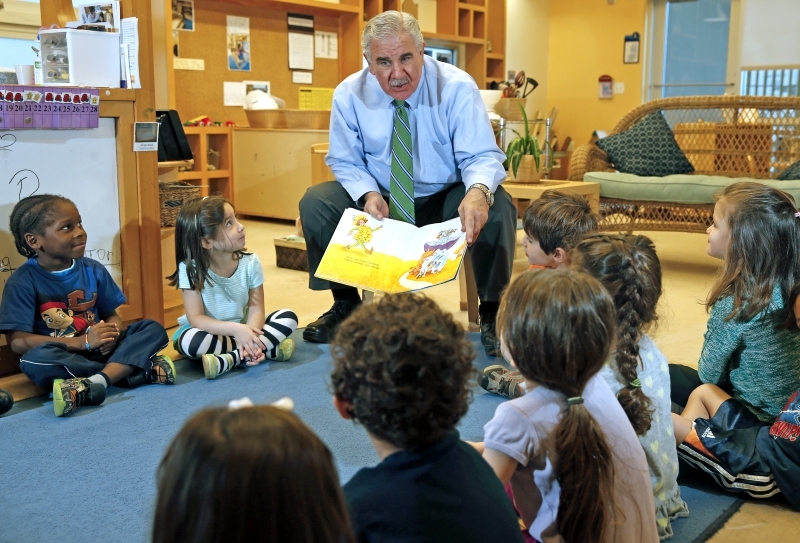 Mogul will receive the Tocqueville Award for Outstanding Philanthropy in recognition of a lifetime of service, dedication and passion. United Way of Miami-Dade celebrates 95 years of building a stronger Miami, so that every person can have a fighting chance. Career Connections, a joint initiative between the Beacon Council’s One Community One Goal, Miami-Dade County Public Schools and our United Way, host a series of engaging career exploration panels and Q&As with executives and entrepreneurs in Miami-Dade to inspire high school students. 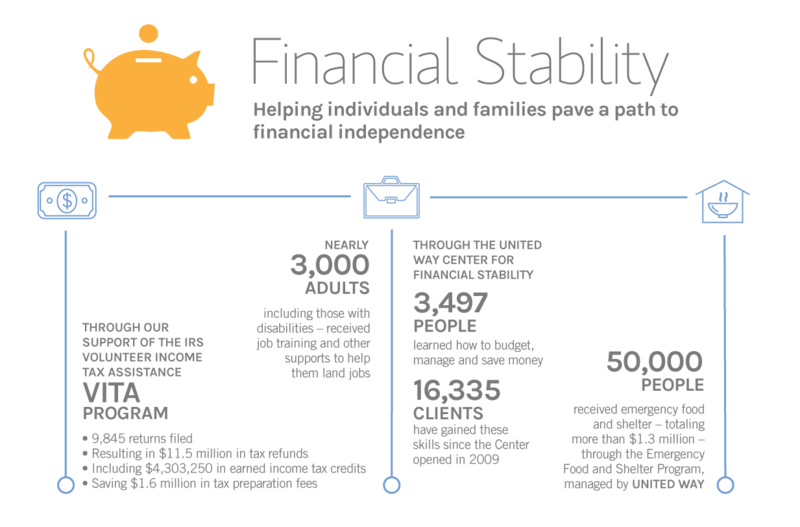 The just-released ALICE (Asset Limited, Income Constrained, Employed) Report provides a holistic snapshot of financial insecurity in the state and in Miami-Dade County. 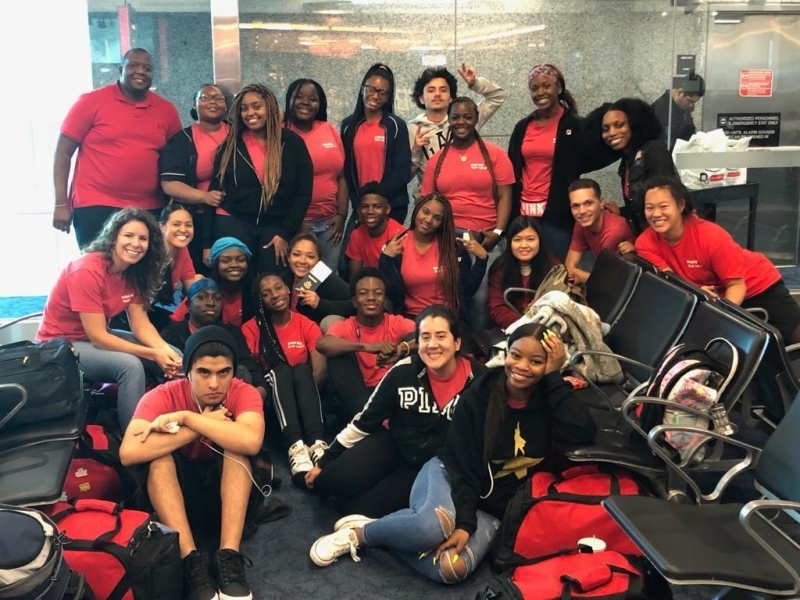 The United Way Youth Institute continues to empower local youth in at-risk settings to become successful in their careers, life-long community advocates and agents of change. 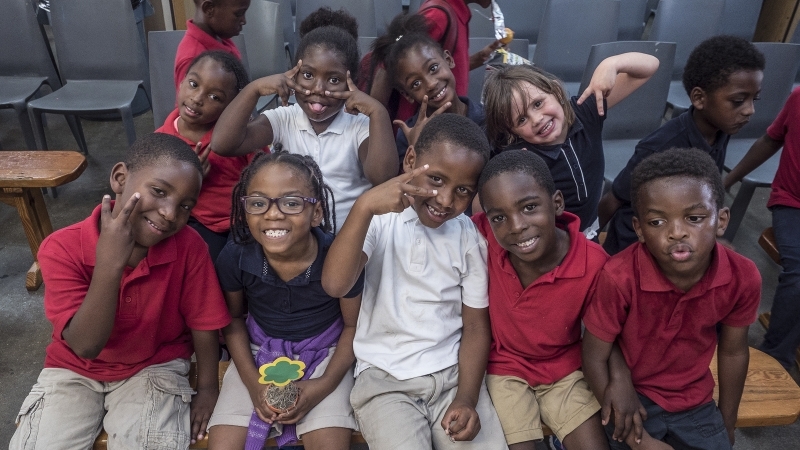 Inspire305 powered by United Way of Miami-Dade had a very successful first year in 2018, contributing $35,000 in grant prizes to local, nascent nonprofits. The initiative is back and bigger, with more opportunities to participate and propel change in our community. How will you inspire change? Join our United Way for a week full of creative opportunities to give back. Celebrate National Volunteer Week by painting and planting or engaging with members of our community — all in the name of a stronger Miami. Coconut Grove Cares’ The Barnyard, a long-standing United Way impact partner, is dedicated to supporting children and families in Miami’s West Coconut Grove. The Barnyard’s programming focuses on moving the needle academically, while also helping youth grow holistically. 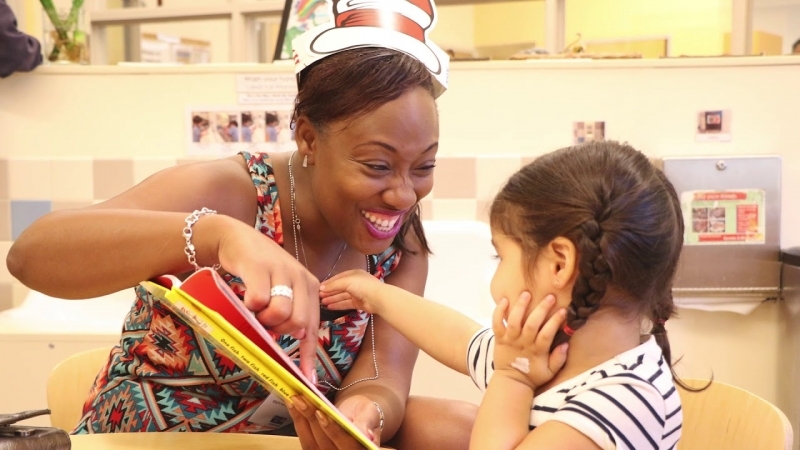 Coconut Grove Cares-The Barnyard, a long-standing United Way impact partner, is dedicated to supporting children and families in Miami’s West Coconut Grove. 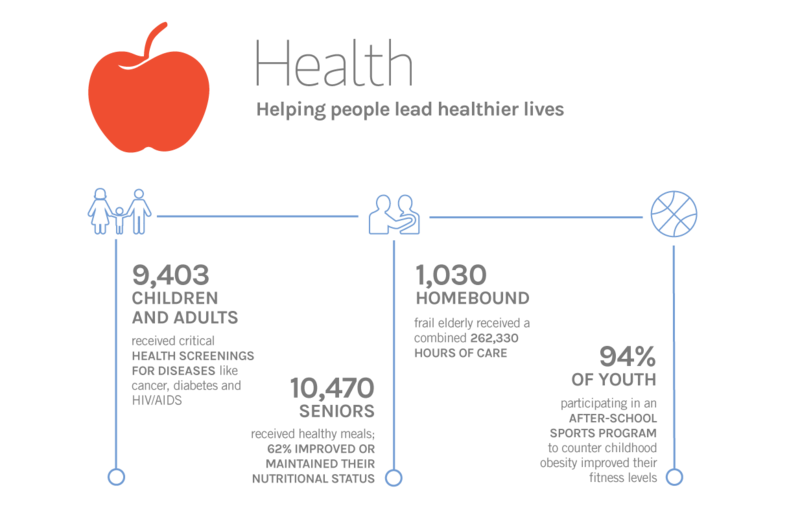 The Barnyard’s programming focuses on moving the needle academically, while also helping youth grow holistically. The former CEO of PepsiCo shared lessons she’s learned throughout her career with 1,200 women leaders at the University of Miami campus for United Way’s Women United Breakfast recently. Nooyi urged women to solidify in sisterhood by trusting one another more and pulling each other up. Members of our United Way are at the state capitol advocating on behalf of quality early education, financial stability and health. Check out our weekly updates regarding our involvement with the Florida legislature. 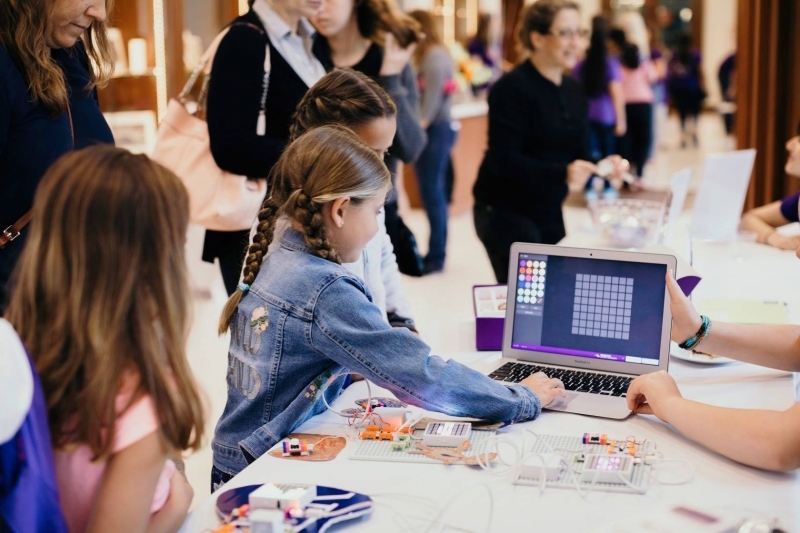 Code/Art, the winner of Inspire305’s first Grand Innovator award grant, is continuing to inspire girls to code. The Miami-based nonprofit is on a mission to increase the number of girls studying computer science by motivating them with the creative possibilities of computer programming. Join us on March 15 for an interactive dinner with James Beard award-winning chef Fabio Trabocchi. Prepare a gourmet dinner à la carte, right at your table with live guidance from the chef. Learn, cook and play—all for a stronger Miami. Being diagnosed with retinoblastoma and losing his vision as a toddler has not stopped Silvio from thriving into an optimistic 8th grader with a passion for learning and love of music and singing. At 91 years old, Mary refuses to “feel invisible”. Mary is determined to live a fulfilling, independent life and age with a little dignity… and a lot of fun! In the midst of a heated dispute with his landlord, United Way Mission United helped former U.S. Navy sailor receive legal services, getting his family of five out of a bad situation. As the child of a single mom who struggled to make ends meet, the Hialeah High School student with a passion for music, spent many of his formative years moving from home to home. With no relatives in Florida, United Way programs act as extended family for Nicole and her children. Sharron doesn't mentor young people like Dillon to escape distressed neighborhoods. She teaches them to come back and help. At 102 years of age, still dancing, making friends and having a great time. See how. “There’s so many stories of folks overcoming hardship, that I think that’s the thing that sticks with me the most.” — Alexandra Hernández, United Way Center for Financial Stability. In one of Miami’s toughest neighborhoods to grow up in, Tina helps youngsters overcome some of the very same obstacles she was fortunate enough to conquer.